In default of the guardian, by the person who has taken care of the child. 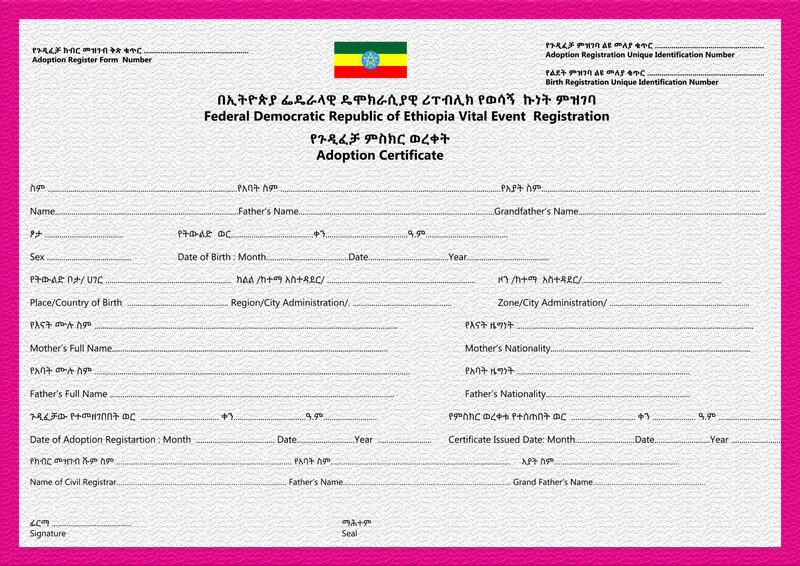 Fee for birth certificate Yes, for majority of regional states; fees are governed by specific laws enacted by regions. There is no fee for refugees. 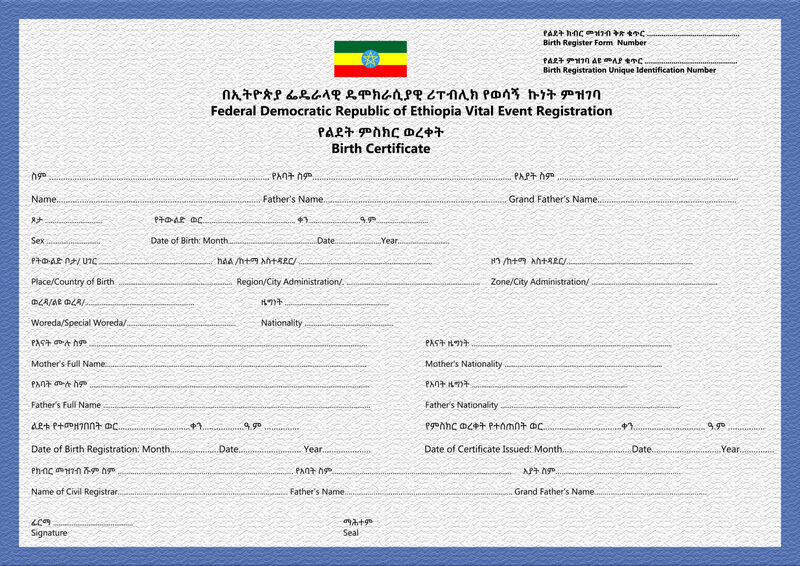 Process for establishing vital statistics on births The Central Statistical Agency is part of the Vital Events Board of Management and responsible for the establishment of vital statistics. 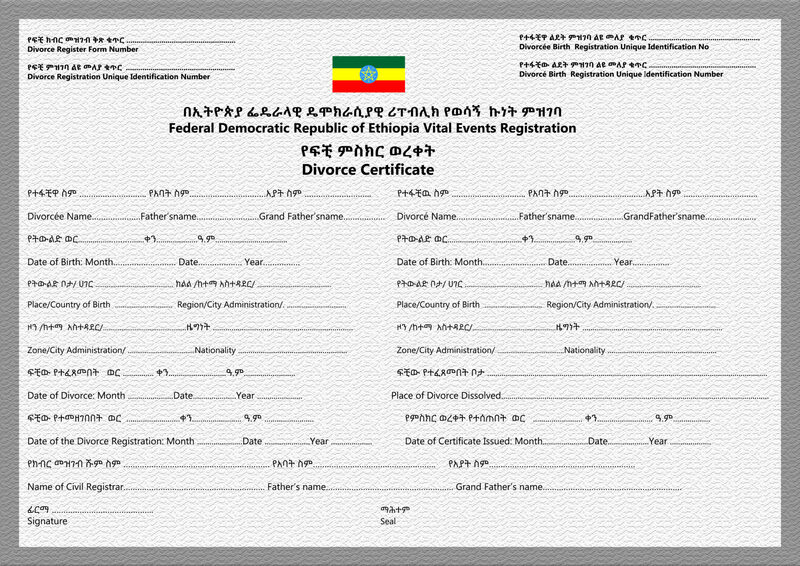 Exemptions: Girls can marry at age 15 in Somali Region and Afar Region (Civil Code of Ethiopia, 1960). 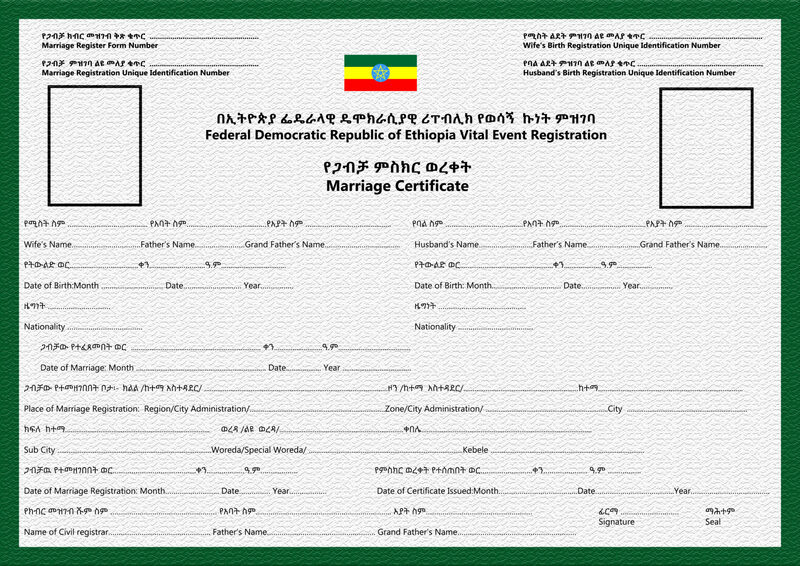 Process for establishing vital statistics on marriage The Central Statistical Agency is part of the Vital Events Board of Management and responsible for the establishment of vital statistics. Any police officer receiving a report of a death occurring through accidental or unknown causes shall declare the death [for registration] within 3 days following the date of receipt of the report. 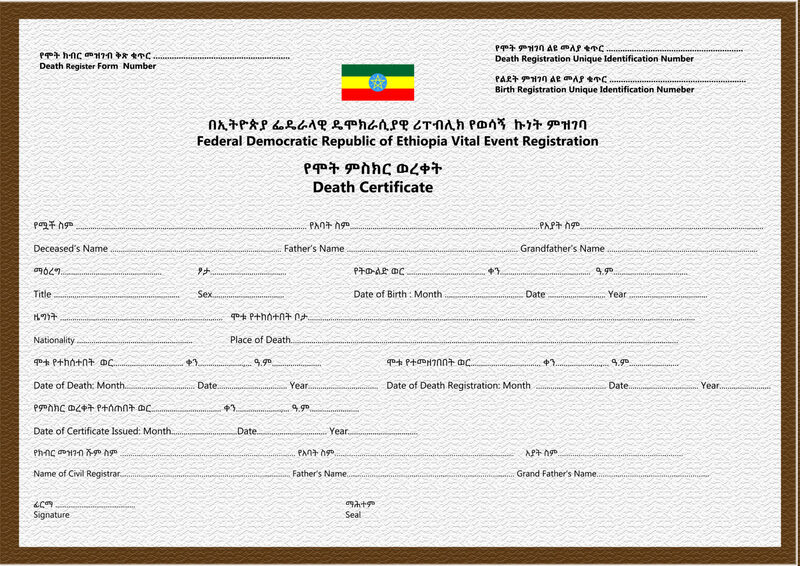 Process for establishing vital statistics on deaths The Central Statistical Agency is part of the Vital Events Board of Management and responsible for the establishment of vital statistics.